Xcel Energy moved dozens of customers east of St. Cloud to hotels as natural gas was shut off in response to unanticipated demand. The utility also asked all Minnesotans who use its natural gas to conserve and turn down the heat. Jon Audet, one of the customers whose gas was cut off, and his son Mathias took advantage of the change in routine. "I promised my 4-year-old here, if he came with me one last time to check the heaters we could get into the pool," Audet said. Audet lost the heat at his house in Blue Hill Township, just west of Princeton. He spent most of Wednesday driving between the hotel and his house, double checking space heaters set up to keep pipes from freezing. "It's colder than we anticipated. There is more draw, more demand on the system than we could accommodate," Xcel spokesperson Mark Osendorf said. "We made the decision to isolate, to impact as few as possible, and unfortunately 150 or so customers are without gas." That demand for natural gas apparently led to a drop in pressure. And to avoid even more outages, the utility asked customers across the state to lower their thermostats to 63 degrees. "Fortunately we did have the availability, there were about 39 rooms left in inventory, there's a total of 45 in the hotel, so we were able to put up that many rooms for people," said Jessica Warner, an assistant manager at the AmericInn, one of several hotels taking in evacuees. 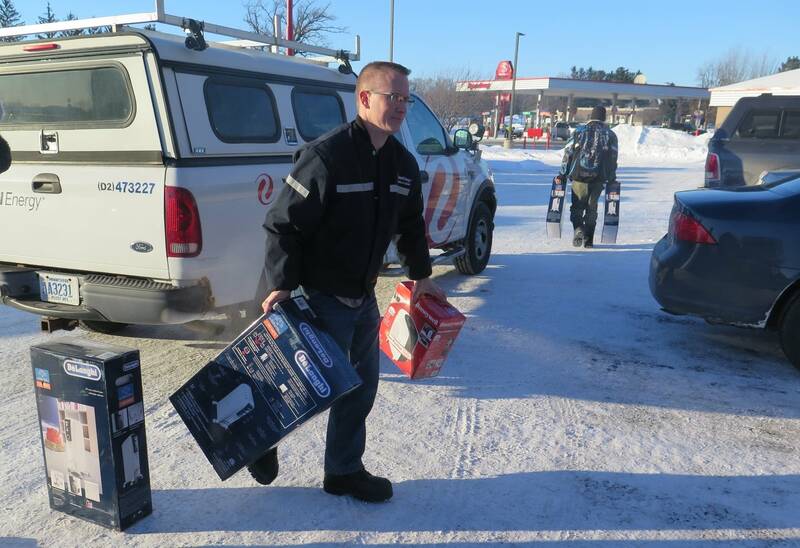 Xcel employees used a meeting room at AmericInn to hand out electric heaters to warm water pipes. One of guest rooms went to George Haripat and his wife. Haripat said he understands why Xcel shut off the gas. He thought something was up when a neighbor called him at 5 a.m.
"He was out of fuel, so I got out of bed, where it was nice and warm, to a cold house," Haripat said. Xcel's Osendorf said getting gas back on will be a time-consuming process. "In this case, every single one of those impacted meters has been shut off. When we're finally able to stabilize the system, now we have to have a qualified technician go back to that house, turn the gas meter back on. We have to get inside, we need to relight pilots, we need to make sure that there wasn't something like a burner or something left on," Osendorf said. 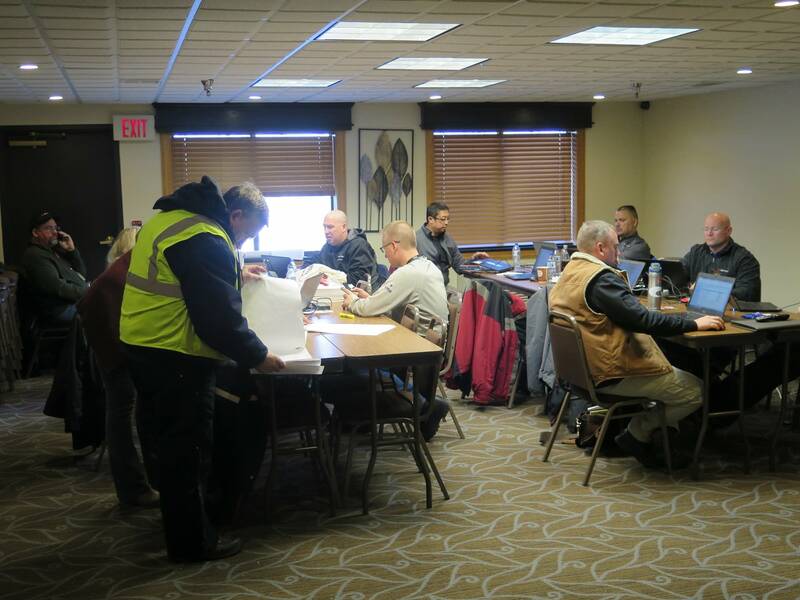 Xcel hopes to restore gas to all the homes by Friday.